Every year, thousands of homeowners and renters experience devastating flooding events, even in the low-risk flood zone. It only takes a few inches of water to cause tens of thousands of dollars in damage to your home, and without flood insurance, most residents have to pay out of pocket or take out loans to repair and replace damaged items. An NFIP Preferred Risk Policy (PRP) can cost less than $500 annually to protect your primary home in the low-risk flood zone for $250,000 building and $100,000 contents. Disaster assistance, if available, comes as a loan payable with interest. FEMA grants, if you qualify, provide about $5,000 on average per household; while the average flood claim is closer to $43,000. More than 20 percent of flood insurance claims come from outside of high-risk flood areas. Most homeowners insurance doesn’t cover flood damage. Most homes in moderate and low-risk areas qualify for the Preferred Risk Policy (PRP). PRPs offer the same quality of coverage as a Standard Flood Insurance Policy (SFIP) and can cover your home and its contents. Without flood insurance, the financial burden to make your house a home again can be overwhelming. If faced with a life-changing flood event, don’t be a victim with nowhere to turn. Purchase a flood insurance policy to protect the home you have built. Call your insurance agent today and ask for a flood insurance quote. 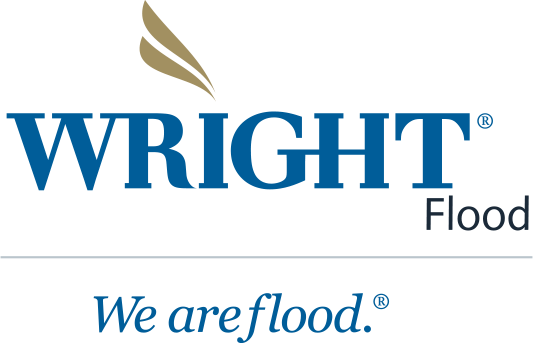 Or call Wright Flood at 866-373-5663 to find a local flood agent.